DOUGLAS, JAMES, office holder and land agent; b. c. 1757 in Edinburgh, Scotland, son of John Douglas, a writer there, and younger brother of John Jr, who became a well-known Edinburgh advocate; d. 26 Sept. 1803 on Prince Edward Island. After obtaining a commercial education, James Douglas spent some time in the counting-house of Sibbald and Company, merchants of Leith, Scotland, trading to the West Indies. In 1779 he immigrated to America, where he took up a clerkship with a firm of traders operating in the frontier region between the Niagara and Detroit rivers. Able, honest, and righteously Calvinistic in outlook, in 1781 he complained to Governor Frederick Haldimand that William Taylor and George Forsyth, his employers at Fort Niagara (near Youngstown, N.Y.), had been engaged with Colonel Guy Johnson*, superintendent of the Six Nations, in a large-scale fraud involving official presents to friendly Indian tribes. This embezzlement of several years’ duration had netted the perpetrators upwards of £15,000. 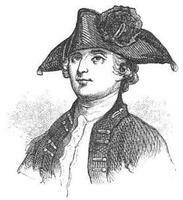 Douglas went to Montreal in 1781 and assisted the governor in a successful prosecution of the merchants. On his return to Niagara he apparently set up in business on his own account, but he found himself ostracized and harassed by all the traders of the region, who resented his part in the termination of an exceedingly profitable racket in which they saw no harm. Having suffered heavy losses in his trade and finding himself in an intolerable situation, Douglas, with Haldimand’s backing, petitioned the British government for some form of compensation on account of his services. Instead of receiving financial assistance, however, he was appointed controller of customs on St John’s (Prince Edward) Island at the meagre salary of £40 per annum. Married by this time to the daughter of a Detroit merchant, and with several children to support, he moved to the Island in 1787. (His first wife apparently died there, for about 1789 he married Waitsill Haszard (Hassard); the couple were to have at least eight children.) Taking up his appointment on arrival as second in command to William Townshend, the collector of customs, Douglas entered a society in which cliques of poorly paid officials fought as in a jungle for perquisites and preferment. Amid all these tensions, he maintained a high reputation for probity, and did his utmost to keep out of the squabbles over land, fees, and salaries. He found, however, that his fees as controller were negligible since the colony’s trade was negligible. With the cooperation of Fanning, Douglas was eventually able to straighten out the complicated issue between Montgomery and Lawson. A final arbitration in 1793 established Lawson’s total debt to the lord chief baron at £9,219 12s. 2 1/2d., but Montgomery, realizing that Lawson was, in fact, impoverished, was not vindictive. On the contrary, he arranged for Douglas to give his former agent an annual payment of £12. Meantime Douglas had been active in the general administration of Montgomery’s estate. A system of regular accounting had been instituted, and rentals and back rentals collected. As early as 1789 Montgomery was receiving a small income from his lands. The tenantry on his properties increased slowly, but steadily; tenants were generally not turned out if they failed to pay full rentals, for Montgomery wisely preferred occupancy to eviction. Arrears and back rentals were, however, assiduously recorded by Douglas, the arrears alone amounting to £3,400 by 1802. More land was brought into cultivation, and the extensive Montgomery holdings made genuine, if uneven, progress under Douglas’s able stewardship. His efforts did much to justify the initial expenses of his remarkable employer. Douglas’s devotion to the interests of this employer eventually involved him in Island politics. Among Montgomery’s tenants who had never paid any, or at most only a slight proportion, of their rents were several members of the “inner ring” of the governing clique, including the Reverend Theophilus DesBrisay* (son of Thomas Desbrisay, the secretary and registrar), Councillor Joseph Robinson, and Chief Justice Peter Stewart. When Douglas moved against them, they set out to break him. In 1797 Douglas took the chief justice to court in an effort to collect arrears of rent but found himself blocked by the Stewart family’s tight control of the judicial apparatus. Within a few months Stewart’s son-in-law, William Townshend, who as collector of customs was Douglas’s superior, complained to London that Douglas had illegally entered a ship with smuggled goods from the United States at Three Rivers (Georgetown). Luckily for Douglas, he had the support of Montgomery at home, and John MacDonald of Glenaladale and Joseph Aplin took his part in the colony. The Montgomery–Stewart dispute dragged on for some years, with the chief justice managing to evade the attempt to bring him to account. The crisis was eased only after his resignation from the bench in 1800. Although provoked himself by Stewart’s evasion, Montgomery reproached his agent for becoming a “violent party man” in the contest with the chief justice. Douglas replied frankly that his disputes with the Stewart clique were indeed “very high political concerns.” In this his judgement was excellent, and his statement no more than the bare truth. The partiality of the judicial system was not the only political issue in which he had become involved in his attempt to administer his employer’s estate. Of Montgomery’s tenants, Joseph Robinson, in particular, had since 1796 actively campaigned for the escheat of the holdings of absentee proprietors, most of whom, unlike the lord chief baron, had made no attempt to develop their lands. In time Douglas had come to believe that Lieutenant Governor Fanning and Chief Justice Stewart were behind this agitation (which he saw as a conspiracy to defraud the proprietors of their holdings), as well as the attempt to ruin him personally. The core of opposition to the Fanning administration, Douglas, MacDonald, and Aplin maintained that annexation to Nova Scotia was the best solution for the colony’s political and economic ills. Montgomery, however, did not favour annexation. 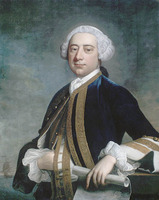 He believed that the proprietors’ interests would suffer if the colony were ruled from Halifax and that their discomfiture would harm the Island. Although he admitted that most of the absentees had failed to meet their commitments, he held that the colony would progress only if proprietors such as himself were prepared to finance emigration and provide the capital needed for the stimulation of commerce. 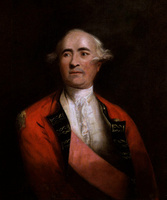 When in 1797 the House of Assembly passed resolutions calling upon the British government either to oblige the proprietors to develop their lands or to establish a court of escheat, Montgomery was specifically mentioned as an outstanding example of a landholder who had done much to fulfil his obligations. Early in the new century it seemed that the home authorities might act on these resolutions [see John Stewart*], but in the end the matter was shelved. An old man by 1802, Montgomery turned over his affairs to his heir, but he retained a keen interest in his Prince Edward Island holdings right up to his death in April 1803, his estate there “being the last subject on which he spoke.” Douglas himself died five months later, of “rapid asthmatic consumption.” He had been a strong and principled advocate of the Montgomery interests, which after his death were entrusted to James Curtis, and of more impartial government. In the integrity of his principles, in the maintenance of his employer’s concerns amid the miasma of petty jobbery in which he found himself on the Island, and in the brave defence which he more than once had to mount against the groundless allegations of his enemies among the controlling clique, James Douglas truly stands out as an admirable personality. National Library of Scotland (Edinburgh), Dept. of mss, ms 1399: ff.70–71. Private arch., Sir David Montgomery (Kinross, Scot. ), Montgomery–Spottiswood corr. (copies at SRO; researchers wishing to consult the originals should contact the National Register of Archives, Scotland). St Paul’s Anglican Church (Charlottetown), Reg. of baptisms, 1790–1804 (mfm. at PAPEI). SRO, GD293/2, 293/3. D. S. Macmillan, “New men in action,” Canadian business hist. (Macmillan), 44–103. Bumsted, “Sir James Montgomery and P.E.I.,” Acadiensis (Fredericton), 7, no.2: 76–102. Bruce Wilson, “The struggle for wealth and power at Fort Niagara, 1775–1783,” OH, 68 (1976): 146. David S. Macmillan, “DOUGLAS, JAMES (d. 1803),” in Dictionary of Canadian Biography, vol. 5, University of Toronto/Université Laval, 2003–, accessed April 24, 2019, http://www.biographi.ca/en/bio/douglas_james_1803_5E.html.